I know everyone is still thinking about the Superbowl, but pitchers and catchers report in just a few days! !As you can probably guess, I’m a huge baseball fan and I’m also a I’m a baseball mama. My son William, like many children today, plays or trains all year round, and at times is playing on 2-4 different teams. Today I’m going to talk about some common pediatric sports injuries. Millions of kids who play organized sports suffer some sort of injury at some point during the year. 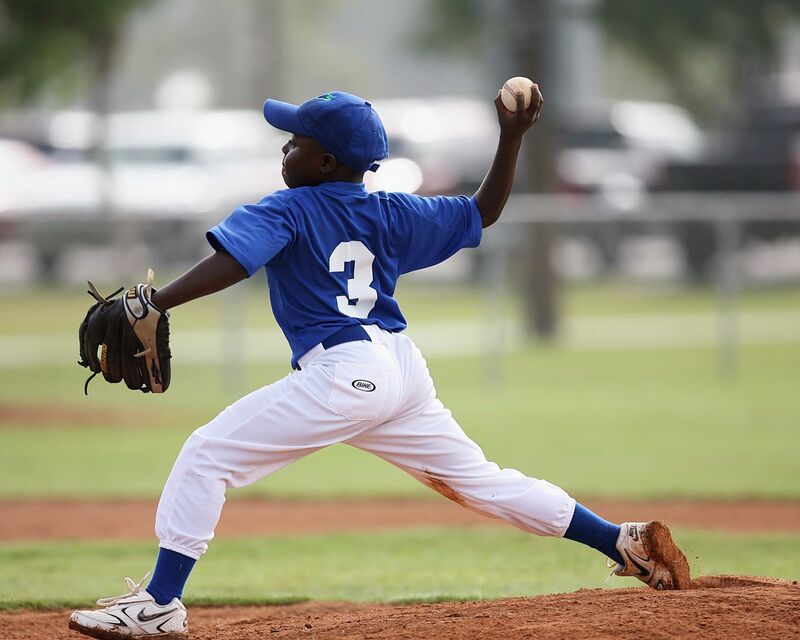 No matter if you your child is participating in basketball, soccer, football, or baseball, the risk of injury comes with the territory, but some common sense tips can help to minimize or prevent many of these injuries. One of the most important factors is to be certain your child has the correct equipment and properly fitted footwear for each sport in which he or she plays. Growth plate damage— Children’s bones and tissues are constantly growing, therefore one of the most common places for an injury to occur is to the growth plates that exist at the end of the long bones of the body, including the upper arm, lower leg, hand, fingers, and foot. An injury to a growth plate will often need the specialized care of a foot doctor for proper diagnosis and treatment. As much as we all love to watch our children play, and no matter how much money we invested in their activities, NEVER push a child to play through pain or shake it off. If you have an concerns or questions, please reach out to me here at Family Foot and Ankle Specialists.